This is the first year since my kids have been in school that Easter has coincided with Spring Break. The big kids went back to school today, but when I went to drop Little Five off at preschool, I discovered when we got there that there’s no school on Easter Monday. April Fools’ Day on me. Guess I should have looked at that calendar that was stuck to the back of the “W” worksheet in his folder. So I dragged a reluctant five-year-old to the store and bought groceries. Luckily, it was a short list because we have plenty of nice food left from our Easter feast. I’m back at my post on the couch with a cup off coffee, surrounded by empty plastic Easter eggs. The sun is streaming in, and I’m very glad about it, despite the inconvenient spotlight on the dust lurking under the piano. We had a beautiful Easter. The bunny filled the baskets (contents procured in one fell swoop at Aldi: kites, water bottles, a little bit of chocolate, Peeps, egg-shaped gumballs in a tiny carton), and we made it to church only two minutes late for 7:30 mass. We even got our regular pew. Go early and avoid the crowds is our motto. Dinner was relaxed, and the weather was nice enough for an extended walk to the park before dessert. After our guests left, I played Forbidden Island with Miss Seven and Mr. Ten, which I confess I enjoyed very much. It’s a cooperative role playing game where you work together to gather the treasure and escape the island before it sinks. Near the end, Miss Seven was quivering with the tension of whether we would all survive or not. Little Five was in charge of sound effects every time a piece of the board fell into the abyss. We escaped to play another day, in case you were wondering. So here’s the rundown of last week’s meals and what’s on the agenda for this week. This was really tasty, and the kids ate it all up without a fuss. It would be good as a lettuce wrap, a taco filling or on buns like pulled pork, too. Toasted walnuts, a little brown sugar and a drizzle of honey made this the best charoset I’ve ever made. Double the recipe if you have more than four people. I was going to make gnocchi, but didn’t start dinner in time. Instead, I improvised a baked pasta with some shredded roast chicken I had in the freezer, a quick homemade white sauce with wine and mushrooms, and some peas and parmesan. It was good. Baked potatoes with self-serve toppings are popular with the kids. Instead of frying bacon, I pulled some sloppy joe sauce out of the freezer, which made the potatoes seem more like a meal. My family liked it on their potatoes, and Mr. Ten’s friend had his on a bun, with a potato on the side. To compensate for those who didn’t eat an adequate amount of salad, the next morning I stuffed their blueberry smoothies with a lot of spinach. This meal felt both virtuous and very satisfying. It was colorful, and turned out to be a nice balance of flavors and textures. The burgers took some time, but I doubled the recipe to feed two families, and still had enough to freeze for a third meal. Next time I will keep a little of the bean liquid to make the burgers a bit more moist, but that’s my only complaint. They have great flavor. This recipe would work well as a freezer meal. Don’t skip the sauce: roasted red pepper (I used jarred) and feta in the food processor. (We thought it might make a good pasta sauce, too.) It was the third time we’ve made a version of that kale salad, and everyone we’ve served it to has asked for the recipe. Saturday: We went out to dinner and the kids had pizza with the babysitter. That was good, too. The lamb was perfect, and we have plenty of meat for several more lamb meals in the coming weeks. The risotto was also just right; I’ve always followed this recipe, but it’s most successful when you’re not feeling rushed or distracted. I had a glass of Prosecco and friends to talk to while I stirred the rice, and nobody was rushed for dinner because we had plenty of deviled eggs to snack on. The green beans are my new favorite version. I had fairly mature, fat beans, so I added about 1/2 cup of water to the pan, covered it, and let them steam until crisp tender. 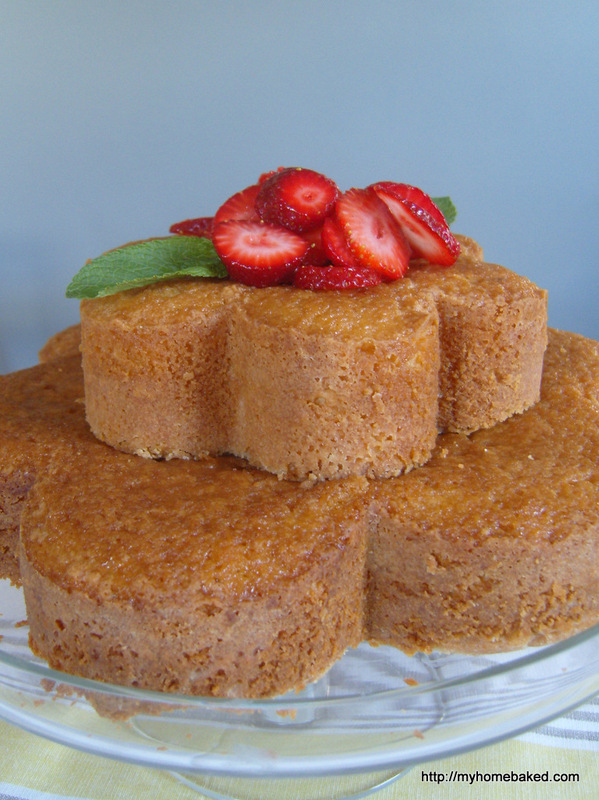 After a hike to the park and some heavy work on the playground, followed by an Easter egg hunt in the yard, we all recovered our appetites to do the lemon pound cake with sliced strawberries (and a cappuccino) some real justice. I baked it in my flower shaped pans, but otherwise followed the recipe to the letter. I wouldn’t change a thing. First day of spring break, and it’s snowing. It has taken me nearly three hours, what with all the interruptions (“He stole my Zhu Zhu pets!” “When can I use the computer?” “I need help getting dressed!”) but I’ve finally planned meals for the rest of this week. This afternoon I will brave my list of errands with all three children in tow. Spring Break at home requires some planning, maybe more than a vacation away–certainly more than I want to plan. But if we are to avoid some nasty Lord of the Flies scenes, I’m going to have to face the music. 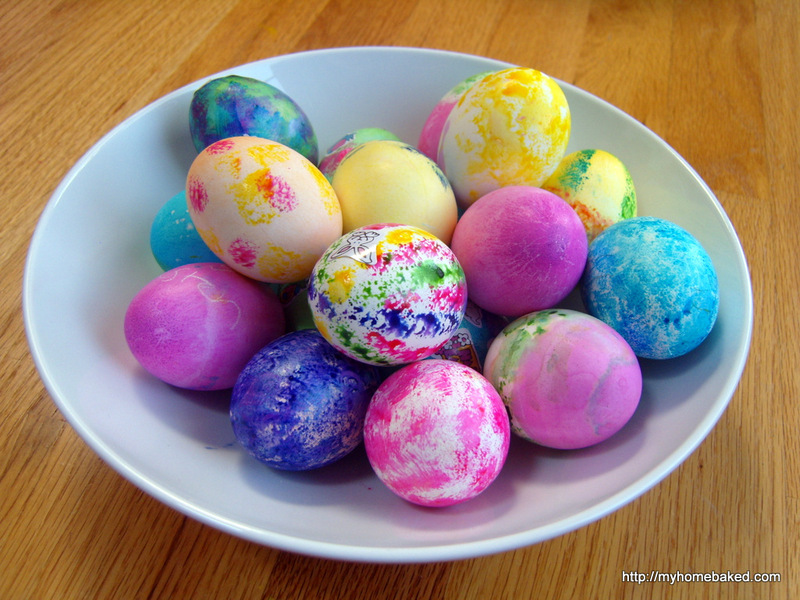 I’ve got an Easter craft planned that should occupy Miss Seven and Little Five for a little while and create a flurry of paper scraps to clean up. We’ll have lunch at Ikea one day (kids eat free all week!). I’m declaring this Smoothie Week, and we’re going to try some new variations. The weather is supposed to improve later in the week (sunny and mid-40s), and I vow that at least once we will get out the bikes and scooters and ride to the park. I’ll probably have to play some board games. (My board game aversion is legendary.) I’ll try to encourage some cooperative Lego building. Mr. 10’s closet needs to be reorganized and everything could use a good spring cleaning. I’m keeping my fingers crossed that the tree guys will come and grind out all the stumps in our front yard–that will make for some good noisy entertainment. Many plans. And it’s already time for lunch. I finally discovered what to do with a turnip. This soup was lovely, green from the leeks and slightly sweet, creamy but not heavy, and everyone liked it. The bacon and greens made it feel more like a meal, but it would be a nice first course. As predicted, the limeade was a hit, too. I defrosted that chicken for four days, and it was still icy in the middle, so it took far longer to roast than I planned. I still love Jamie Oliver’s method the best: high heat, stuff the bird with garlic and herbs and lemon, and roast a big pan of veggies (extra turnips!) and potatoes alongside. I need to remember that what looks like too many raw veggies is, in fact, not quite enough. I had visions of leftovers that were sadly disappointed. Garlicky pasta with shrimp? We all had seconds. Does anyone else hear John Cusack in High Fidelity whispering in your ear about mix tapes? Okay, it’s just me. That’s okay–my dinner is already in the Crock Pot, which might give me time to go make a mix tape of my own (or maybe just go watch the movie). Anyway, if you’re not using your slow cooker, I’m here to tell you that you should. I know, every recipe you see is full of cream-of-something soup and comes out looking like glop. I’ve tried my fair share of those, and to be honest, I’m still experimenting. But today I’m going to share my top five, never-fail slow cooker recipes. No, they’re not all one-pot dinners. A lot of times I find myself using the slow cooker to make components of meals so I don’t have to rely so much on canned goods that may have more sodium and additives than I’d like. 5. Overnight steel-cut oatmeal. 1 cup steel-cut oats, 4 cups water (or milk), a pinch of salt, any fruit or spices you like. 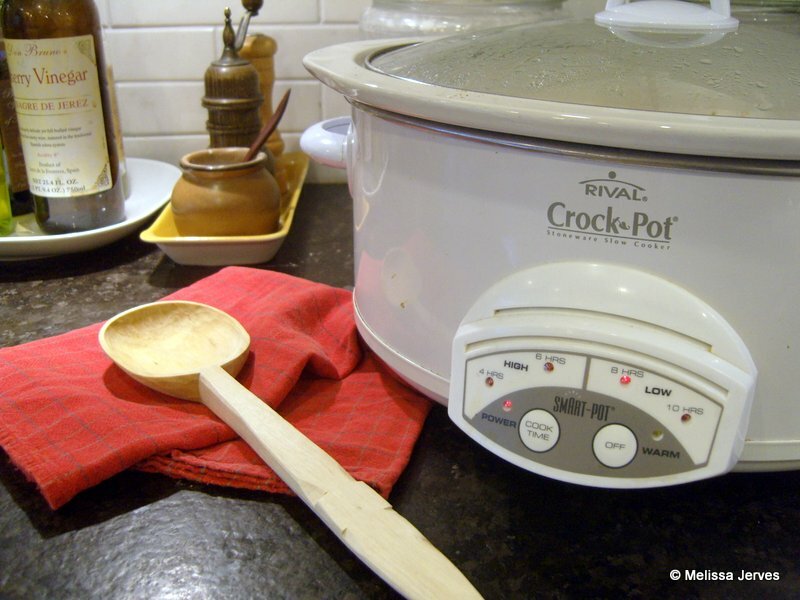 Spray the slow cooker really well with cooking spray OR mix the ingredients in a heat safe bowl that fits inside the crock and pour enough water around it to come up about half the height of the bowl. Cook on low for 7 hours (if you use the bowl/water bath method, the timing is not so critical). In the morning, serve and add some toppings (I like brown sugar, chopped nuts and a drizzle of milk). 4. Chickpeas (or other beans). No soaking necessary, and great overnight. Rinse a 1-lb. bag of dried beans, dump in the crock with 8-10 cups of water. Cook on low 8-10 hours, or until beans are tender. Use some to make hummus or falafel and freeze the rest. 3. Pulled pork. No, it hasn’t been smoked for hours on a grill, but it’s awfully good. 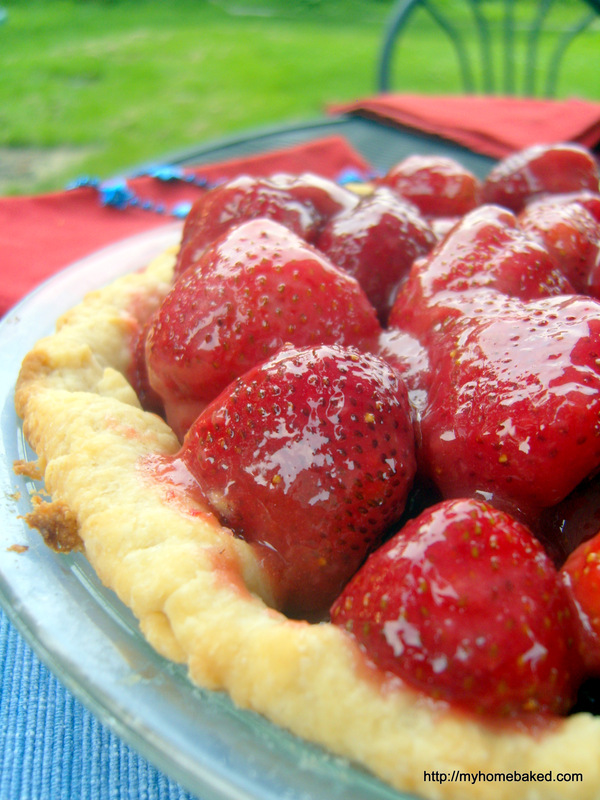 I like this recipe from Our Best Bites, but I like to add some cumin and use a splash of apple cider vinegar as the liquid. I cut the BBQ sauce with vinegar, too. Don’t forget the pickles and the slaw. This is great on a weeknight, and just as good for a party. 2. Overnight chicken broth. Chicken carcass and water. You can add some onion and vegetables if you like. Cook on low overnight. Strain and freeze. Free chicken broth, and you don’t even need a coupon. 1. Fauxtisserie Chicken. Every time there’s a good sale on whole chickens, I buy a couple and stick them in the freezer. This recipe is like Roast Chicken for Dummies, or at least for people who get home late from work/karate/piano lessons and need to eat RIGHT NOW. It’s also a great way to cook chicken that you want to use in another recipe. The meat falls right off the bone and is incredibly moist and juicy. There you have it–my Top Five ways to use the slow cooker. Go forth and make your slow cooker work for you! What’s your Number One slow cooker recipe? We’re watching the first season of Mad Men these days (don’t spoil it, friends), and just saw the episode where Pete Campbell exchanges a wedding gift–a ceramic lettuce leaf and red pepper atrocity of a “chip and dip”–for a shotgun. Now how will they serve the sour cream and onion dip? While it’s hard to beat a good sour cream and onion dip (with a bag of Ruffles), it’s not exactly a snack I’d feel good about offering on a regular basis. Enter the bowl of hummus. I’m sure hummus was unheard of by most people in the Mad Men days, but now it’s everywhere, and every grocery store has competing brands and multiple flavors. Roasted garlic! Red pepper! Mild! Spicy! Hummus, pita chips and baby carrots was standard fare at playgroup gatherings when my kids were toddlers. My kids still love hummus, and we do, too. I like to make my own, because it’s easy and significantly cheaper, especially when I start with dried chickpeas instead of canned (though canned work perfectly fine). I also know exactly what’s in it, and can season it to our taste. I usually cook beans in the slow cooker, preferably overnight. It takes about one minute of prep, and the next morning you can let it cool and divide the cooked beans into containers to freeze or use right away. 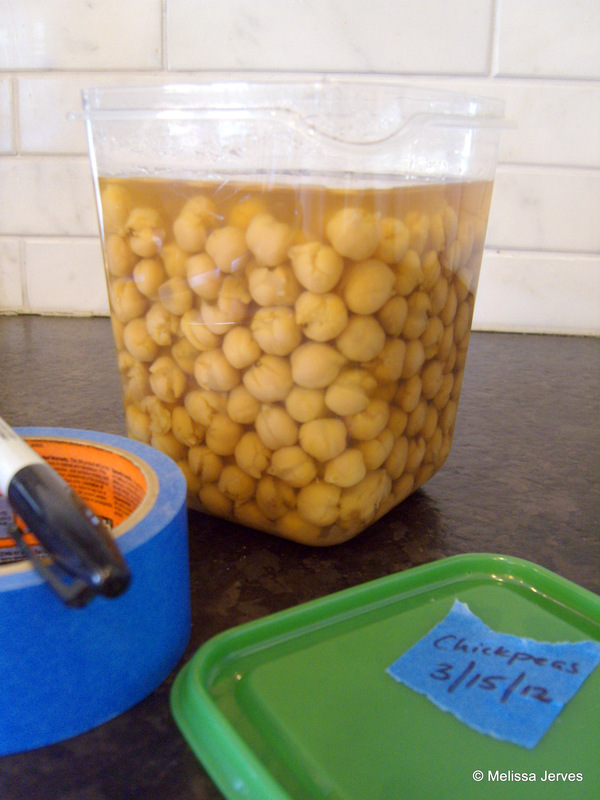 It takes half of a one-pound bag of dried chickpeas (also known as garbanzo beans) for a single batch of hummus. No need to soak ahead of time, either–10 hours on low and they are just right. Some people prefer to remove the skins, but I find it an unnecessary step. Rinse 1 lb. dried chickpeas, and put them in a slow cooker with 8 cups of cold water and 1 Tbsp. kosher salt. Cover and cook on low for 8-10 hours, until the chickpeas are tender. 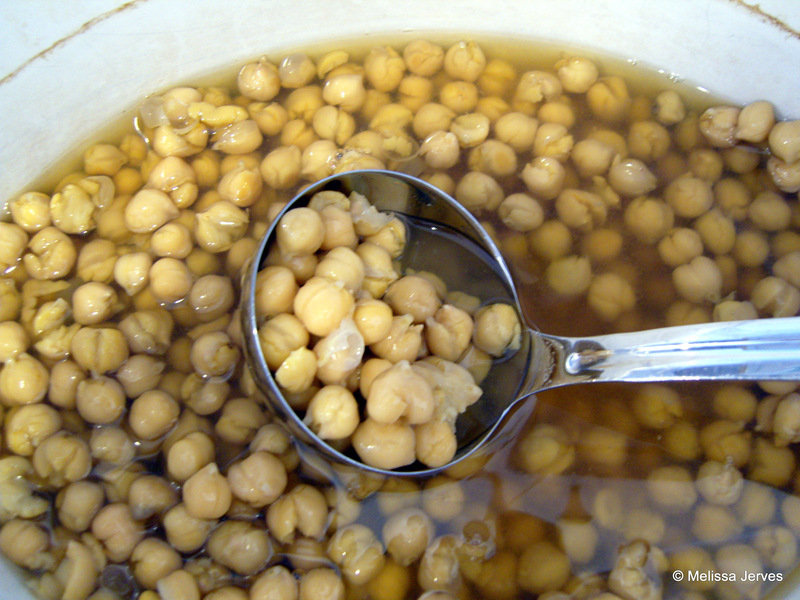 Use about half of the cooked chickpeas for the following recipe. Freeze the rest or make falafel to go with the hummus! Add all ingredients to the bowl of a food processor (start with the smaller amount of liquid and add more if necessary) and process until smooth (or leave it a little chunky if you prefer). Taste and adjust the seasoning.